Over the weekend, I had the opportunity to talk to a beautiful young lady. 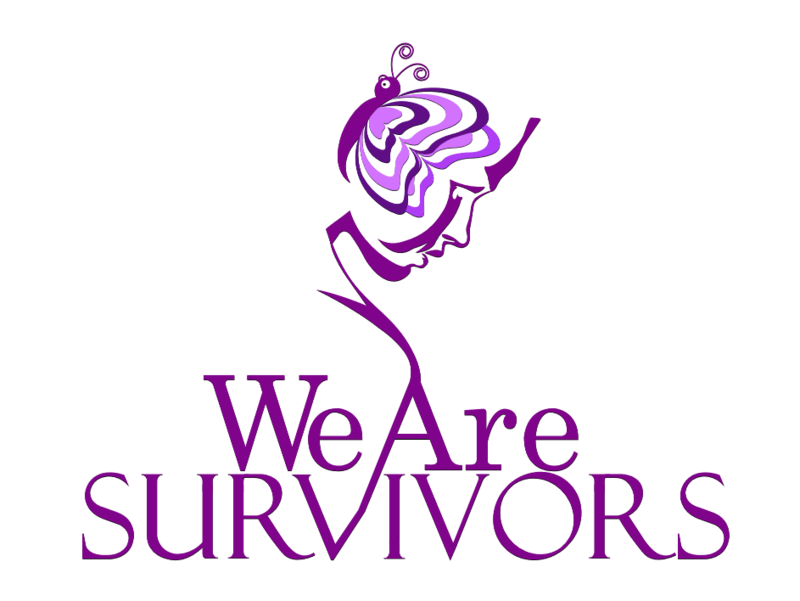 Although we did not get into the depth of her struggles, I knew she was a survivor. As we talked, the tears welled up in her eyes and I was filled with such love, compassion and understanding without even knowing what she had gone through. I didn’t need to know. The signs of pain, hurt and abuse were conveyed in the tears she forced backed and the crack in her voice as she spoke. Then she said something to me that struck a nerve. I was angry for her. The person who said that to her had NO idea of the depth of pain they had leveled on her in those few words. When your past has a history, every word has a context that has more meaning than could ever be conveyed by Webster’s dictionary. Every word is taken as a new attack or assault on you as a person and your self-esteem…until you learn how to work through those feelings and emotions. Imagine taking a trip to a high-end furniture store where every item costs $5,000 or more. Imagine walking into this store where everything is exquisite and one of kind. The most beautiful furniture you have ever laid your eyes on. As you travel to the back of the store, along the wall you notice several beautiful pieces marked for sell. Upon closer inspection, you see the sell tags are all marked with the words “Damaged Goods.” At first glance you can’t see anything wrong with this furniture. It was still beautiful. It was still exquisite in every way. You walk around each piece of furniture, trying to find where the damage is. A small scratch here. A little ding there. It’s almost absurd that it would be on sell. You think to yourself, ‘I’m buying it’. It’s one of a kind and no one else will have this exact piece in their home. 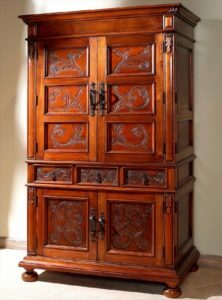 You have the perfect place in your home for this beautiful piece of furniture and no-one will even know you barely paid for it. Because the reality is, as the old saying goes, “Someone’s trash is always another person’s treasure.” And only we can assign value to that which is important to us. So, you get your beautiful piece of furniture home and you begin to polish it. 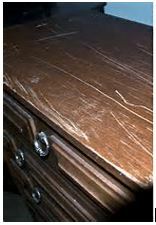 As you rub the furniture with oil and a non-abrasive cloth, you notice that the scratch or ding begins to disappear. You stand back and walk around it a few times wondering where the small imperfections are. You run your hand over the spot where you were sure there was a ding. You can still feel it but to the natural eye it is no longer visible. It is perfect, and it is yours. You see, none of us will escape life without a scratch here or a ding there. Some of us might have a few more scars than others but it’s our battle scars that make us who we are. 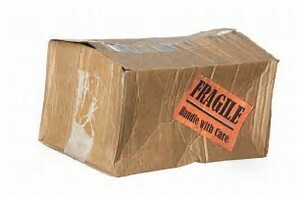 Every one of us is a “damaged good.” And you know what? There is nothing wrong with it! We are still beautiful and exquisite in every way. And like that piece of furniture, we’re each unique and one of a kind. With time, a bit of polishing, a bit of perspective, those scars and dings will still be there, but they won’t be visible to the naked eye. And remember, WE assign value to that which is important to US! Therefore, it is so important that the value we assign to ourselves comes from the inside not from external sources. Because when we allow external sources to define us, it becomes a goal of futility. Something we can never live up to. Wear your battle scars proudly! You EARNED each and every one of them. Don’t shy away from them. They are the fabric of who you are. And just like with a piece of fabric it can be transformed into whatever your creativity can come up with. A beautiful dress. A nice top. A pair of slacks……a bright future. An exquisite life. For now, I leave you with these four words that I’m not afraid to wear on the fabric of my cloth. I wear it with pride and acknowledgement of all the struggles in life I have endured up to this point. 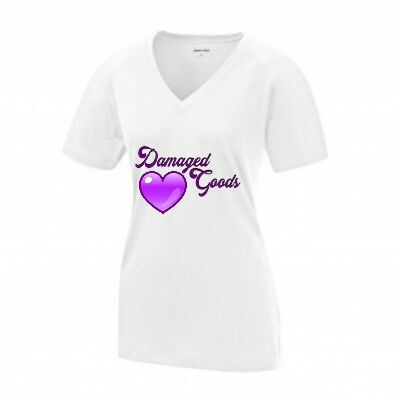 If your interested in owning your story of acceptance and renewed strength, order your Damaged Goods t-shirt from our website www.WeAreSurvivorsFoundation.org/shop.